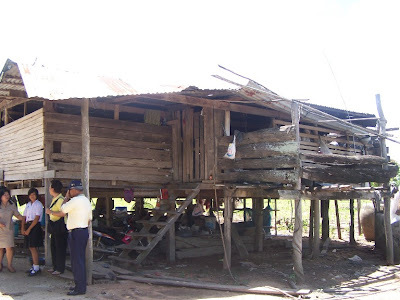 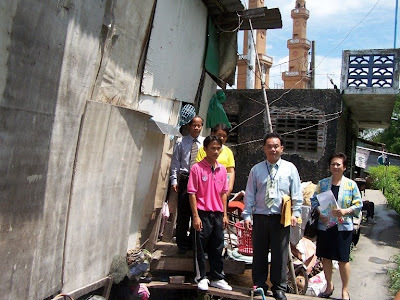 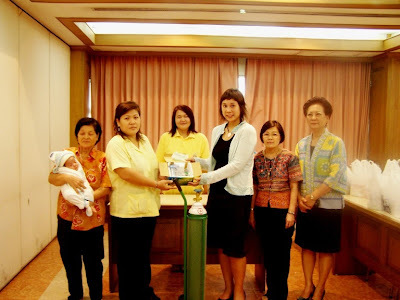 On August 28, 2008, Khun Kotchakorn Tisayakorn of TISCO Bank, and Working Group Committee, presented one respirator with oxygen tank to Prates Nualdang, a floppy child. 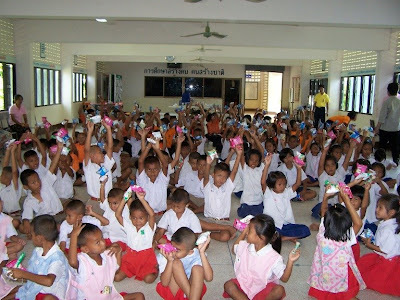 She also gave 34 dozen of milk and diapers to Chiragorn Kladsawas who is retarded and caught pneumonia, at Lerdsin Hospital. 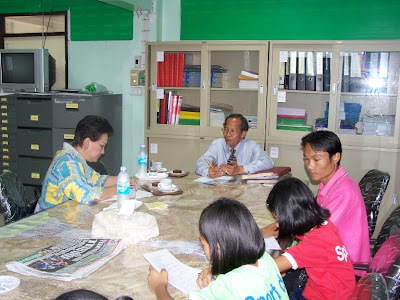 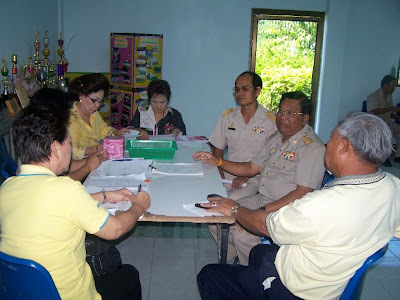 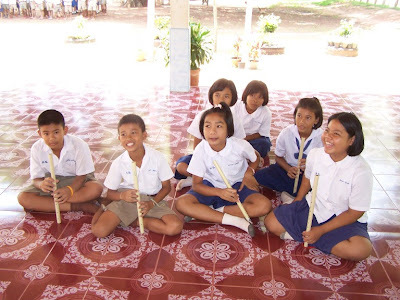 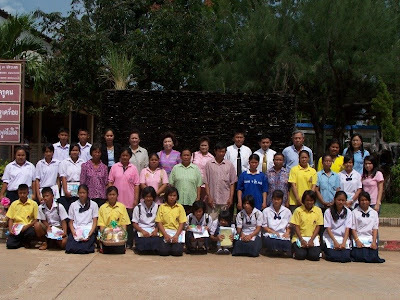 On August 25-26, 2008, Directors and staffs of TISCO Foundation took a trip to Nakornratchasima visited our scholarship students at 6 schools and follow-up on progress of education fund granted to them this year. 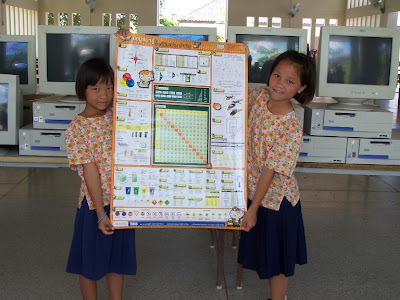 We presented daily knowledge posters, stationeries, and cookies to them. 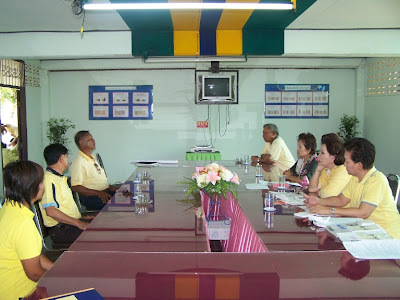 Khun Pattira Wattanawarangkul, Manager of TISCO Foundation and Khun Chaiyos Sirirattanaboworn , Head of Human Resources, TISCO Bank, presented ten used computers, notebooks and daily knowledge posters to Staffs of Narcotics Control Foundation, Samutprakan, on August 15, 2008. 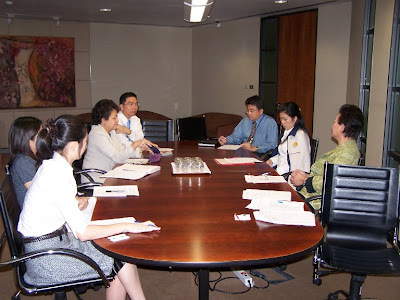 The Fourth TISCO Foundation Working Group Committee’s Meeting for the year 2008 was held on August 13, 2008.